When I was a senior in high school, I worked at Taco Bell. I had spent the previous four years working as a soccer referee/basketball scorekeeper/day camp coach for the Parks and Recreation department, as well as doing data entry and order-taking for a homeschool curriculum company, but I needed a job that would allow for my school schedule. The late-night shifts I worked as the friendliest drive-through personality you’d ever encounter brought a year of steady paychecks, along with other life experiences: a guacamole-gun fight or two; free soda for all my friends; a couple of untoward crushes that never got past a barely scandalous backseat or walk-in freezer rendezvous. Also, I discovered creamy jalapeno sauce. Creamy jalapeno sauce, I’m convinced, is the only reason TB ever made any money. It’s the delicious goo that comes on their quesadillas and (if you’re old school) the Cheesy Gordita Crunch. Similar to the boys whose acquaintance I made in the freezer, creamy jalapeno sauce is deliciously gross, and bad for you. These days, I don’t eat fast food but once in a blue moon, during moody phases of poor judgment. I have, though, in my real-food nerdiness, perfected a homemade mayonnaise. It’s full of good fat, and ample nutritional value – an ideal base for healthy versions of the condiments I used to love so much. Recently, I used some of this lacto-fermented mayo to make a probiotic treat, full of flavor and totally reminiscent of the saucy delight of quesadillas past. It was so easy. A bit of the mayo (which has none of the soy-beany, heavily-preserved tang of the grocery store stuff) was mixed in with pickled jalapenos and their juice, a pinch of salt, cumin, paprika, cayenne, garlic powder, and honey, and WHOOP. There it is. Like magic. Yum. Joseph and I spread it on homemade tortillas and added some grass-fed cheese (Kerrygold brand), heated the quesadillas on the cast-iron grill pan, and went to town. 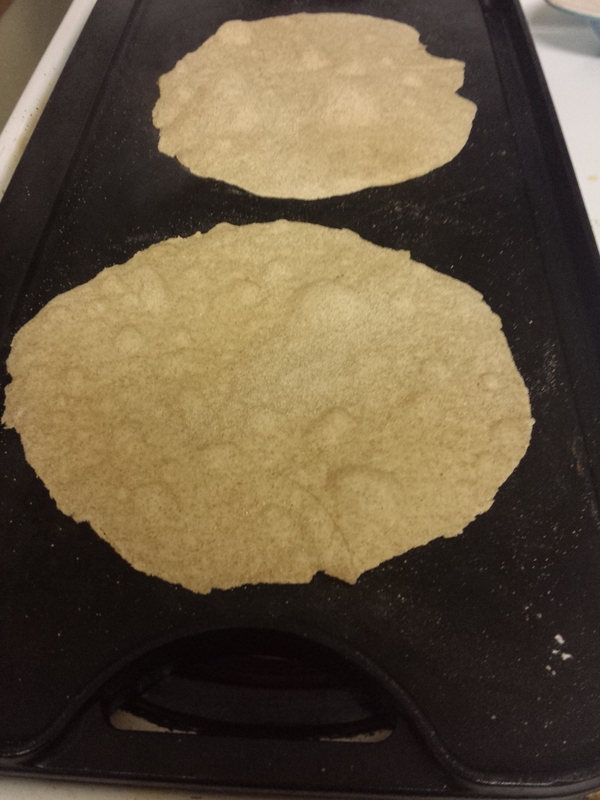 “Homemade tortillas?” you might ask. Why, yes. These, also, were easy. The method and recipes follow. 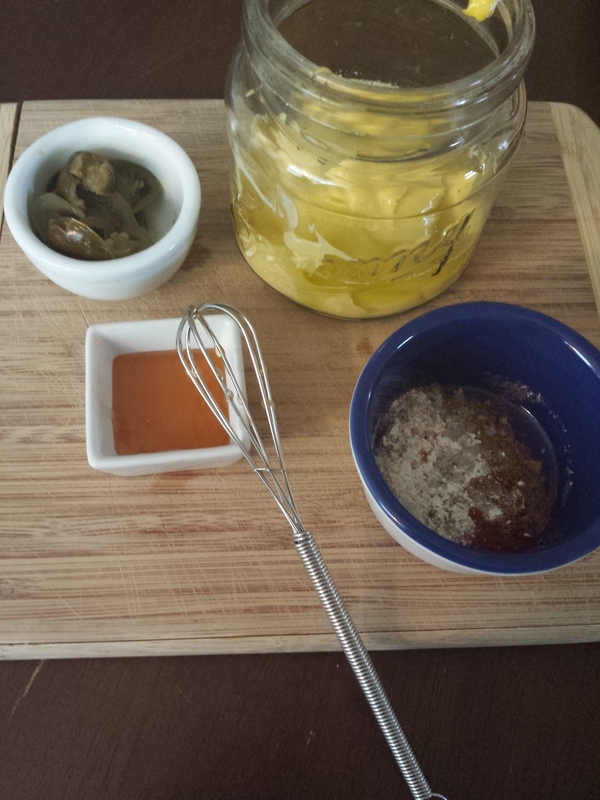 Mix all ingredients in a small jar. Adjust seasonings and pickling juice to taste. Mix the dry ingredients well. Add olive oil and water, and mix until the dough comes together in a ball, then becomes smooth. 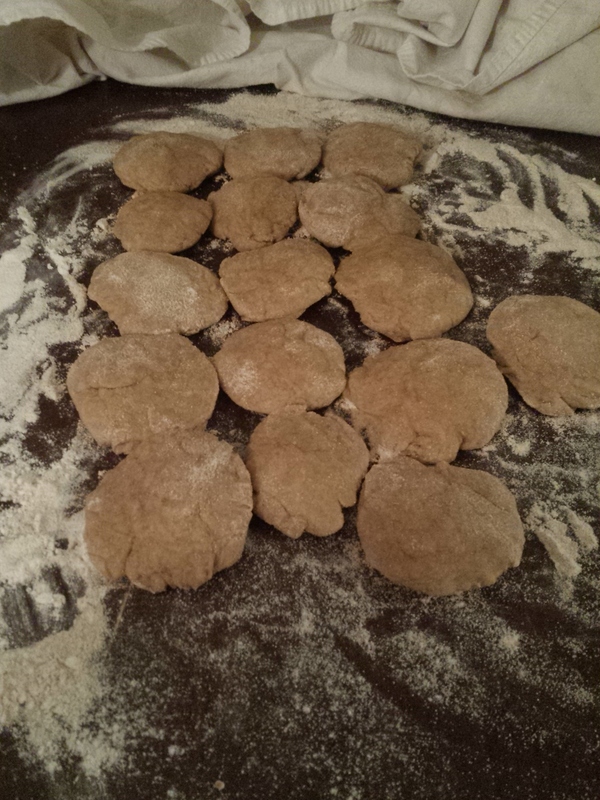 Plop the dough onto a floured surface, and keep dividing it in half until you have 16 equally-sized pieces. Pat them into balls with your hands, then flatten them a bit and cover the lot with a clean kitchen towel. Let them rest and rise a little – about 15 minutes. Heat a cast-iron skillet to very hot, and roll out each dough disc to a thin circle, about seven inches in diameter. 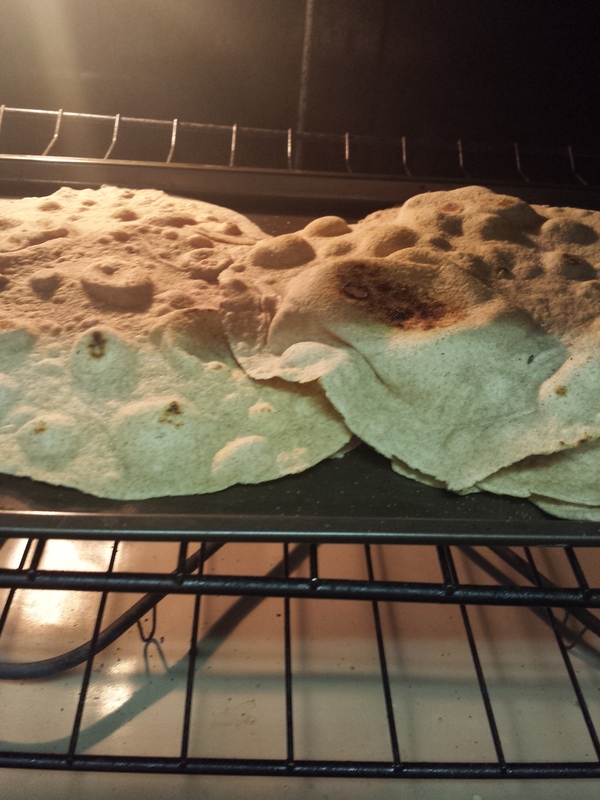 Cook on each side until the tortilla begins to bubble, and as you cook them in succession, keep the prepared tortillas warm in a 200-degree oven. Slap the tortillas and sauce together with some cheese and your other favorite ingredients, and have yourself a dang quesadilla! 08 Mar	This entry was published on March 8, 2015 at 11:35 pm. It’s filed under Collection and tagged DIY, homemade, homemade mexican food, homemade tortillas, just eat real food, organic, organic cooking, pickled jalapenos, Portland, quesadilla, taco bell copy cat recipes. Bookmark the permalink. Follow any comments here with the RSS feed for this post. “…deliciously gross and bad for you.” I’m dying right now. You are a funny, funny woman. Recipes sound good, too!